The Beovision 601 was visually very similar to the Beovision 600, but it used a mildly redesigned chassis. The changes centred mostly around the receiver section, which made greater use of integrated circuits that the previous model had done. Text copyright © Beocentral. Unauthorised reproduction prohibited. 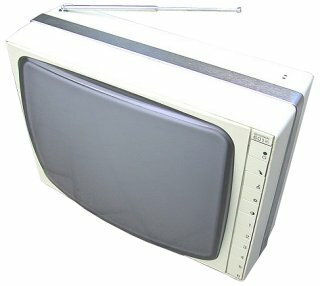 The Beovision 601 was the last true Bang & Olufsen portable television, in as much as it was designed and produced by them in Denmark. It would be the late 1980s before another portable model would appear, which was the disappointing MX 1500, a Philips set made in a Philips factory in Italy. Text copyright © Beocentral. Unauthorised reproduction prohibited.